home - Website of commonroom! ceramic workshops for children, adults and seniors. Mondays&Wednesdays ceramic classes for children (17:00-18:00) for grown-ups (18:30-20:30). 1st and 3rd Saturdays of the month we continue discovering various themes and techniques. paper studio by artist Hye Lee; workshop series for children and adults, developed by the teaching artist Hye Lee, who studied Fine Art and Art Education in the UK as well as in the USA. Her philosophy and artistic style can be found in Hye-Lee.com. Each month she will be presenting various creative projects, where you can explore different aspects of "paper"! 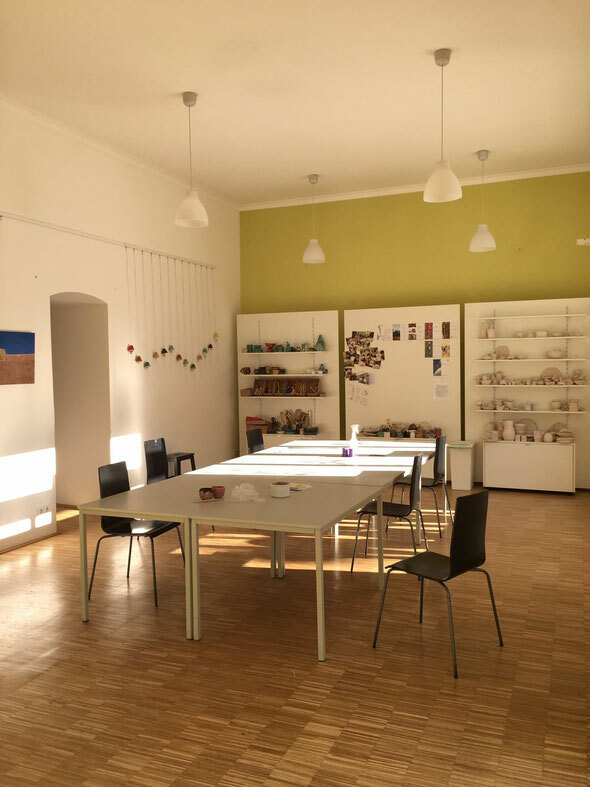 language art studio along with our art teacher julianne, we will use music, games, books and art to learn new English vocabulary and discover how fun learning and practicing a new language can be. Language comes alive when we use different types of creativity! creative mess_play with paint with art-therapist Carina Hausknecht. we cover the room with paper, where children experience different tools and play with self-cooked paint as free as they want. belly bowls for mother-to-be’s, hand&food prints for your little ones. Time flies...Clay memories turn into lifelong treasures. space for your ideas. We are here to hear your ideas! You can rent our rooms for your projects; exhibitions, crafty theme workshops, birthday parties, team building activities, etc. ceramics and design in daily life we decorate your space tailored to your needs and create ceramic design pieces such as tableware, decorative objects, lamps etc. ceramic design solutions for your brand and workspace. We create unique pieces for your brand to stand out and add value to your image and communication. commonroom is happy to announce Kids' Pass, which works for all kids activities at the studio. It's a great opportunity for your children to discover new mediums, participate in different classes and just have fun! So join us for amazing events and don't forget to get your kids' pass!